What's to say. Ordered product online, delivered next day....very happy customer....!! P.S. This is the first time that I have used this company, with this level of service it won't be the last. 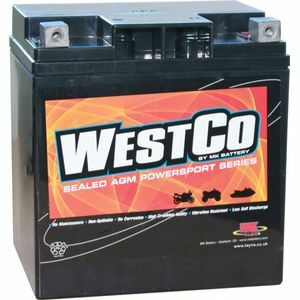 Great battery same spec as original part Harley easy to order next day delivery fully charged fitted and first time start . Great service prompt delivery shame terminal connection is at the side not on top as old battery was. Battery fits well. Excellent service. It was a pity that i could not order the battery on the italian tayna batteries homepage. The homepage did not work properly. same as the one it is replacing. not yet fitted, but should be no problem. Batteriet passade perfekt det höll 12.74 volt, laddade i 6 timmar monterade nästa dag. den startade direkt,( efter den stått 6 år) Beställde på helgen skickades på Måndag till Stockholm fick det till dörren tisdag veckan efter. Jag är helt nöjd. Sedan får jag hoppas det fungerar flera år framöver. Ordered online came the next day, fitted straight in. Very pleased as it was half price of genuine H-D battery. I will use Tayna again.